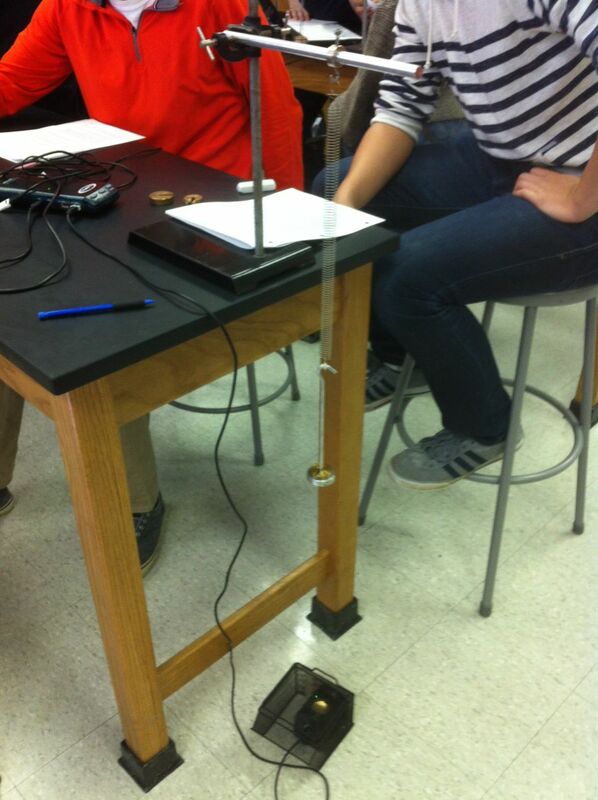 In Honors Physics, students performed an activity to connect the graphical model for simple harmonic motion to the mathematical model and to the physical apparatus. I posted about this lab in the fall when my AP Physics B class did it. This year we are “piloting” the AP Physics 1 curriculum with Honors Physics; so, the Honors Physics classes are doing some of the same labs as my AP Physics B class. It is odd to have two different classes do the same lab at two different times in the same school year. Regardless, I love this lab as it really helps students make connections among the multiple representations for simple harmonic motion.